Our can do reputation for working with stylist and costume designers is growing. 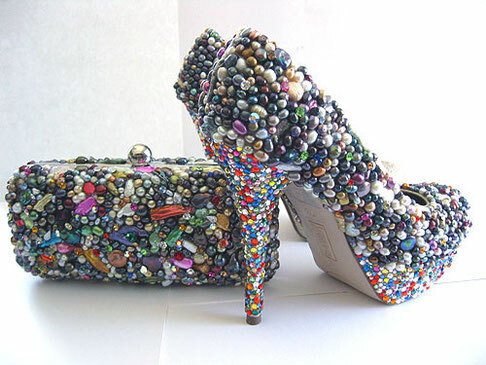 For custom shoes, handbags, instruments or anything unusual...if you can imagine it we can do it. Give us a challenge! We custom made these shoes for one of our celebrity stylist. The pearl clutch makes the ensemble complete. They are over the top but that's exactly what we wanted to accomplish with these! 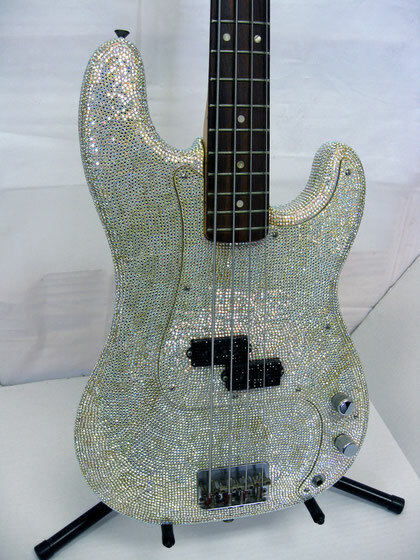 We covered this bass guitar for a famous musician. It has over 18,000 stone size 12ss crystals. 12ss crystals are approximately 3mm so they are very small. We absolutely love to cover anything with crystals, pearls, beads.